Individuals trust Donately to fundraise for their cause quickly and effectively. 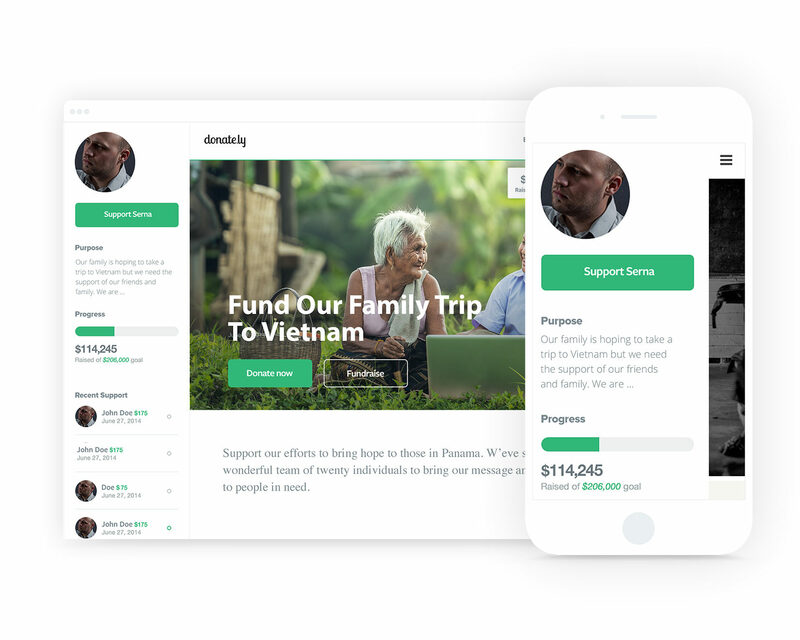 Donately simplifies individual fundraising with all the tools you need at a low cost. Customize your own donation page, share your cause with your network, and easily manage all the donations with one simple-to-use donation system. 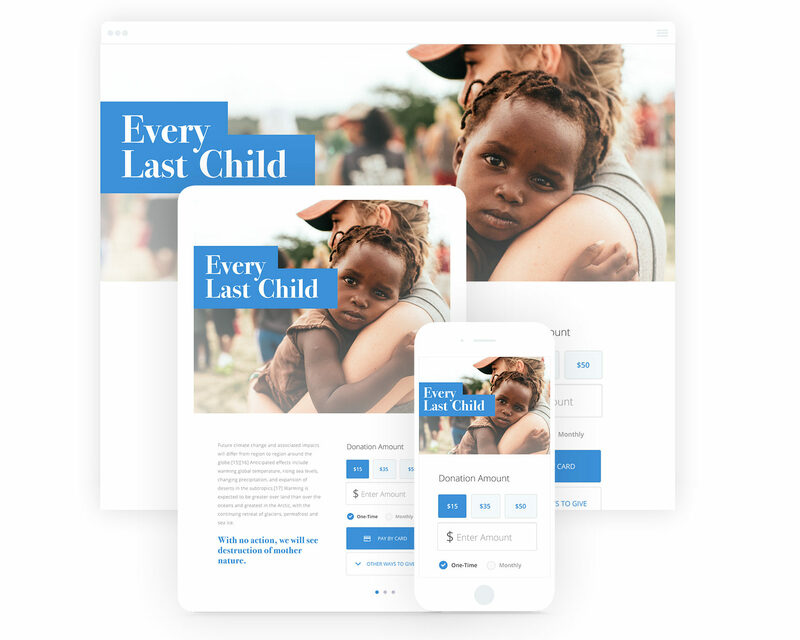 Create beautiful donation pages in minutes that are engineered to turn site visitors into donors, and allow donors to fundraise for your cause on your behalf. Integrated social sharing buttons make it dead simple for you and your supporters to share your cause on Facebook, Twitter and via Email. 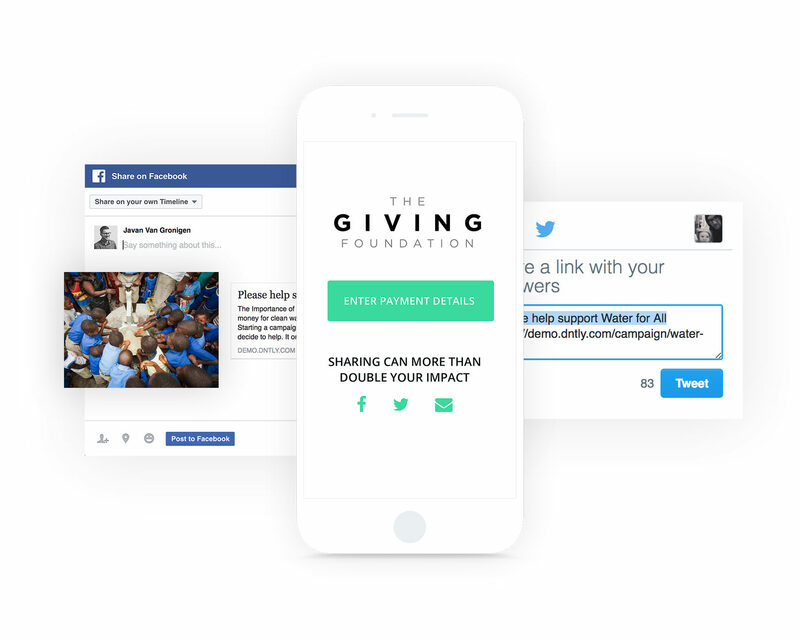 Our pages were born responsive, so your donors will have a great view, regardless of which device they're using.